La Ceiba, on the Caribbean coast of Central America is a cultural melting pot. Here you find a rich variety of cultures and peoples who life together in near perfect harmony. A strong influence of the North American culture, due to the presence of the Banana Companies mixes wondrously with the Garifuna people. The Garifuna are a unique ethnic and cultural group that came to Honduras in 1797. They are a racial mix of Caribbean natives and shipwrecked Africans that met in Saint Vincent, in the Grenadines. The British culture can also be perceived through the many natives of the Bay Islands of Honduras. Many Bay Islanders regularly visit or live in La Ceiba full time. Other ethnic groups, such as the Miskito Indians and “English Blacks” that came from Jamaica to work in the banana fields are also present. This cultural melting pot created the perfect atmosphere for Honduras’ Troubadour to grow up in. His name is Guillermo Anderson, and he is a household name in Honduras. 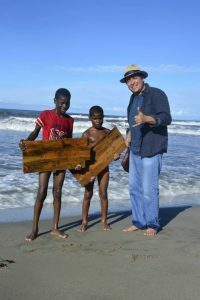 Growing up next to the Caribbean Sea, and mingling with the Garifuna people had a profound impact on Guillermo. So did the exuberant tropical rain forests and rugged Nombre de Dios Mountains that serve as a backdrop to the city. Having been blessed with the talent to write songs, his lyrics are always focused on the Caribbean Sea, the local culture in La Ceiba, Honduras’ splendid nature, and the beauty of the country and its people. Guillermo Anderson doing what he does best: Singing his songs! If you listen to the lyrics in his songs, they are all stories about daily life in Honduras. The trials and tribulations of the regular Honduras citizen, and his interaction with his surroundings. His songs can be about the iguana in the garden or about wooden floor where he played as a kid. One of his songs, “En mi Pais” has even become an alternate national anthem, and gives most Hondurans goosebumps when they hear it when out of the country. 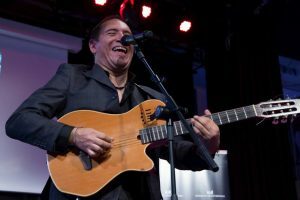 As any authentic troubadour, Guillermo is almost always seen with his guitar on his back. It follows him wherever he goes. You can listen or purchase Guillermo’s music through his website. Guillermo plays an active role with his Central American counterparts. He is a member of the “Central American Papaya Orquestra”. This is a loosely knit effort by diverse Central American singers and songwriters to promote Central American culture abroad. This year’s Carnival in La Ceiba, which took place in May, was to honor Honduras’ Troubadour, Guillermo Anderson. La Ceiba is proud of our Honduras’ troubadour! Personally, I met Guillermo many years ago, in a presentation that he did in Copan Ruinas. Over the years, I have had the opportunity to go to several of his concerts, both in La Ceiba and abroad. As a “Ceibeno” I feel honored to have a friendship with this simple, friendly, generous person that throws his heart out to promote Honduras. 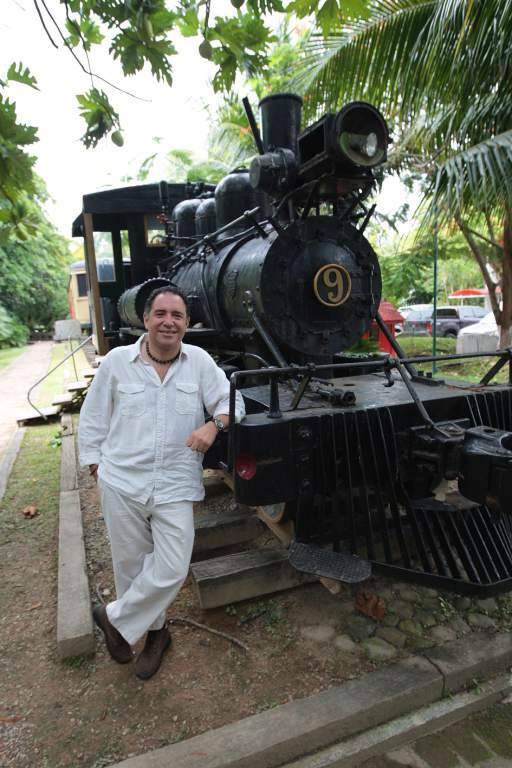 Guillermo Anderson is probably the best cultural Ambassador that Honduras has ever had! Gracias Guillermo for your efforts to make Honduras and La Ceiba a better place to live in! Thank you for helping us tell the World about Honduras and La Ceiba! You have undoubtedly left an indelible mark on many people that have had the honor of meeting you! Siempre adelante Guillermo Anderson!